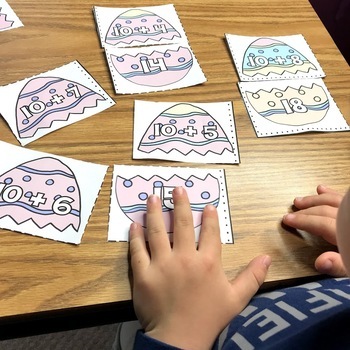 Use these Spring Math Addition and Subtraction Games to make your math time fun. 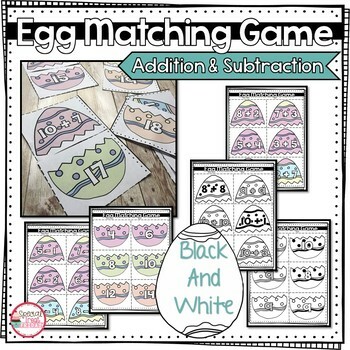 It includes a variety of math games to use with these addition and subtraction cards. These work great as math center activities and can be used in whole group as well. They are available in Black and White and Spring Colors as well. The kids love to color in the black and white versions. Make sure you laminate them so you can get the most out of your resource. 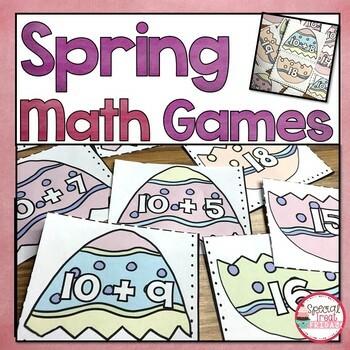 This set includes Spring Themed Math games that use matching cards. Each card has either an addition math problem or a subtraction math problem. Then there are sets of the answers to the problems. Students will pull a math problem and then find the answer. These can be differentiated by giving a student just the level of cards they are currently learning. You could give them just problems that are answers 10 or under or just subtracting with 10's. This can be a stand alone independent activity where the teacher puts the cards in an envelope and the child works on it. It can be used in a small group activity where students work side by side or together. It can be used as a whole group activity where students all are looking for the answer cards that are hidden around the room. The options are limitless. 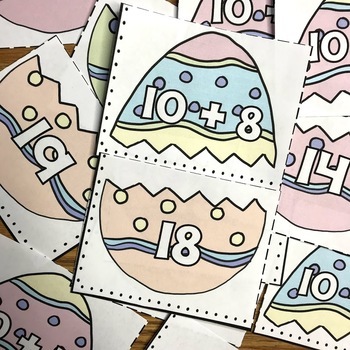 You may also be interested in my full Spring Math Resource. It is filled with hundreds of pages that include multiple math games and differentiated math worksheets for numerous 1st grade standards. Don’t forget that leaving feedback earns you points toward FREE TPT purchases. I love FEEDBACK!